SALE! This gorgeous radio as seen in photos was a museum piece for many years (notice the special metal stand used for display-included). 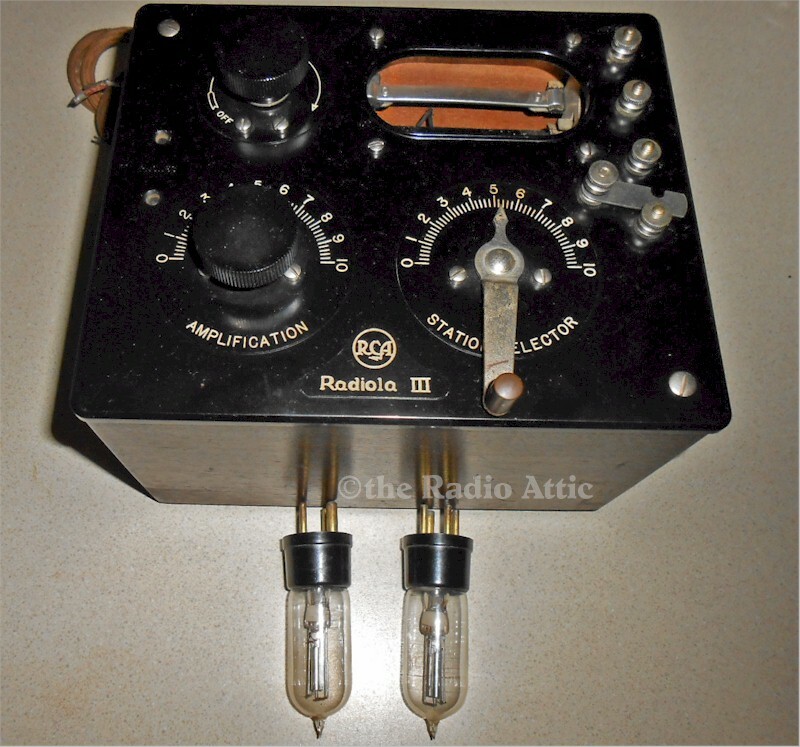 Comes with the two original tubes (one faintly can see RCA logo and research says WD11's). No way to test them so assume for display purposes. Only thing done was clean the dust, very nice original condition. Flat Domestic shipping charge of $16.50, tubes will be placed separately in individually protected boxes. Was $185.00, now $148.00. You are visitor number 610 to this page.